The Order of Service for the Consecration of Charles Lewis Slattery as Bishop Coadjutor at Trinity Church in the City of Boston, the Eve of All Saints, A.D. MDCCCCXXII. 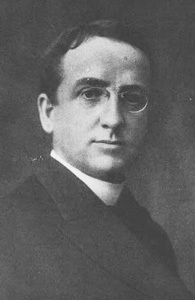 An Ambassador of Christ: A Sermon Preached in Grace Church, New York, May 18, 1930 at a Service in Memory of the Right Reverend Charles Lewis Slattery, D.D., Bishop of Massachusetts, and Rector of Grace Church from May 8, 1910 to October 31, 1922. New York: Grace Church, 1930. A Sermon Memorial to Bishop Gilbert Preached in the Cathedral of Our Merciful Saviour, Faribault, Sunday Morning, March the fourth, in the year of our Lord Nineteen Hundred. Faribault, Minnesota: no publisher, 1900. Felix Reville Brunot, 1820-1898: A Civilian in the War for the Union, President of the First Board of Indian Commissioners. Sermon Memorial to Bishop Whipple, Preached in the Cathedral of Our Merciful Saviour, Faribault, Sunday Morning, September the Twenty-second, in the Year of Our Lord Nineteen Hundred and One, by Charles Lewis Slattery, Dean of the Cathedral. A Sermon Preached in the Cathedral of Our Merciful Savior, Faribault, Sunday Morning, October the Thirteenth, in the Year of Our Lord Nineteen Hundred and One. New York: Longmans, Green, and Co., 1904. A Sermon Memorial to Charles Clark Camp, Acting Warden of Seabury Divinity School Preached in the Cathedral, Faribault, Sunday Morning, January First, in the Year of Our Lord Nineteen Hundred and Five together with Sundry Memorial Resolutions. Faribault: Trustees of Bishop Seabury Mission, 1905. The Master of the World: A Study of Christ. New York and London: Longmans, Green, 1906. Life beyond Life: A Study of Immortality. The Historic Ministry and the Present Christ: An Appeal for Unity. New York and London: Longmans, Green, 1908. Alexander Viets Griswold Allen, 1841-1908. New York: Longmans, Green, 1911. Freedom Won: A Sermon Preached in Grace Church on the Fourth Sunday in Lent, March 26, 1911. New York: A.O. Sherwood, 1911. The Authority of Religious Experience. New York: Longmans, Green, 1912. Saint Andrew: A Sermon Preached in Grace Church on the Second Sunday after the Epiphany, January 14, 1912. New York: A.G. Sherwood, 1912. Essential: A Sermon Preached in Grace Church in New York on the Third Sunday after Easter April 13, 1913. New York: Sherwood Press, 1913. George Hill Bottome: A Sermon Preached in Grace Church in New York on Whitsunday 1913. Confirmation: A Sermon Preached in Grace Church in New York on the Sunday after the Epiphany January 11, 1913. New York: The Irving Press, 1914. The Leaven of the Sadducees: A Sermon Preached in Grace Church in New York on the Second Sunday of Lent March 8, 1914. New York: Edward A. Bryant, 1914. In Charity with All Men: A Sermon Preached in Grace Church in New York on the Fourth Sunday after Easter May 2, 1915. New York: Irving Press, 1915. The Light within: A Study of the Holy Spirit. Il ministerio storico ed il Cristo del tempo presente: un invito all'unità. The Sinking of the Lusitania: A Sermon Preached in Grace Church in New York on the Sunday after Ascension-day, May 16, 1915. New York: no publisher, 1915. The Fact of Christ's Resurrection: A Sermon Preached in Grace Church in New York on the Sunday after Easter April 30, 1916. New York: Irving Press, 1916. The Gift of Immortality: A Study in Responsibility. In Memoriam Cornelia Stewart Butler. A Churchman's Reading: An Essay for Laymen. New York and London: Longmans, Green, 1917. How the Church Can Help the Nation. New York: Grace House Publications, 1917. The Joy of Faith: A Sermon Preached in Grace Church in New York on Trinity Sunday, June 3, 1917. New York: Sherwood Press, 1917. Certain American Faces: Sketches From Life. Days of Decision: A Sermon Preached in Grace Church in New York on the Fourth Sunday after Easter April 28, 1918. New York: no publisher, 1918. The Power of One Man: A Sermon Preached in Grace Church, in New York on the First Sunday after the Epiphany, January 12, 1919. Rose Elizabeth Cleveland: A Sermon Preached to the Colonial Dames of the State of New York in Grace Church in New York on Sunday, January 26, 1919. The American Woman: A Sermon Preached to the Colonial Dames of the State of New York in Grace Church in New York on Sunday January 25, 1920. New York: no publisher, 1920. How To Pray: A Study of the Lord's Prayer. Ten Years in Grace Church: A Sermon Preached in Grace Church in New York on the Sunday after Ascension-day, 1920. New York: Arbor Press, 1920. Bishop Burch: A Sermon Preached in Grace Church in New York on Sunday, December 26, 1920. New York: no publisher, 1921. David Hummell Greer, Eighth Bishop of New York. Prayers for Private and Family Use. The Spirit of France, as Told in Forty-two Sonnets. Where is Christ? A Sermon Preached in Grace Church in New York on the Sunday after Christmas, 30 December, 1923. New York: no publisher, 1923. William Austin Smith: A Sketch, Illustrated by Nine Essays of Dr. Smith. New York: E.P. Dutton, 1925. The Church and Truth: A Record of the Church Congress in the United States on Its Fifty-second Anniversary A.D. 1926. In Time of Sorrow: A Book of Consolation. The Words from His Throne: A Study of the Cross. New York: Longmans, Green and Co., 1927. The Chuch and the Future. New York: Edwin S. Gorham, 1929. The New Prayer Book: An Introduction.